This is the Nice bookmark. I found the pattern online. Great pattern. I finally found the link and put it here. This is the not so nice boomark. I designed this one myself. As I haven't written down the pattern as of yet, I cannot share it. Soon, though, I am sure. Tote For the Nightsweats Newsletter group. This is the front and back of the tote. This is my newest creation. I modified a pattern for a book thong that I found online (and will post the link later). I am actually very happy with it. As I stated on my News page, I have been considering promotional gifts for the next couple of Society books. Below, you will see a pic marked Johann's Toy. 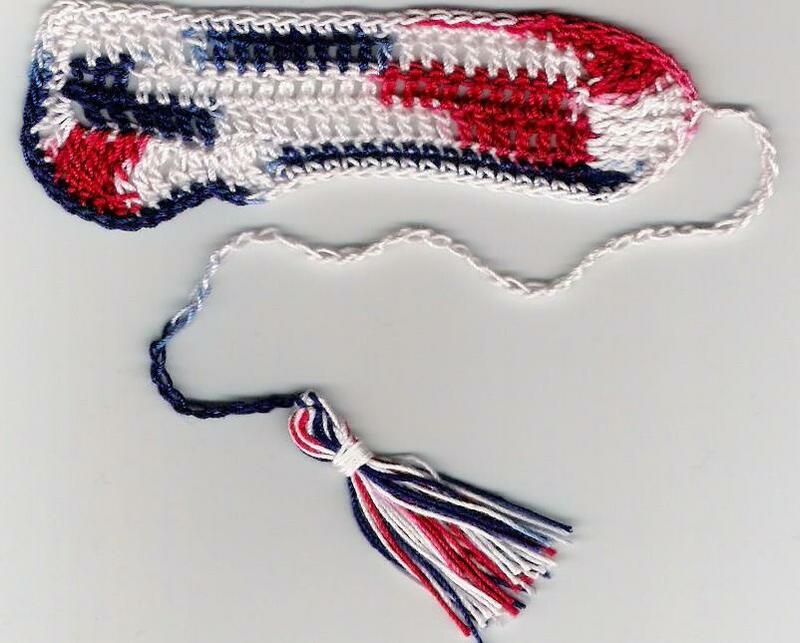 That is what I'm considering making in crochet for a select few lucky winners. Let me know what you think. I have separated my blog into two separate blogs. One for Crafts and one for Writing. I am hoping I will be able to be more indeapth into what I am doing, wanting to do, and learning to do. Look at the link buttons on the top of this page to go to my craft blog. I finally got off my duff and added links to the patterns for the things I've made. Enjoy! Made for my Sister-in-law. 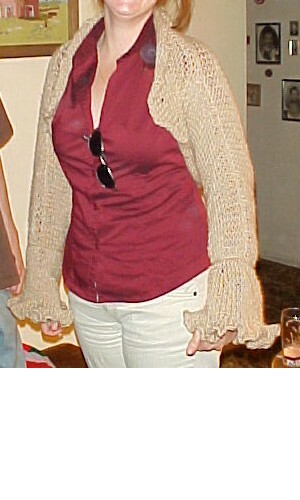 First is a caplet, just goes to center breast, second a shrug, just covers arms and back.